In samenwerking met Bircan Savas, Nevin Yildiz, Ayse Kisa, Sercan Armut, Serdar Gurcan, Ercugrul Kocak, Brigitte Jansen. Met een bijdrage van Pilvi Takala. In collaboration with Bircan Savas, Nevin Yildiz, Ayse Ercugrul, S Sadeghi Sadeghi Gurcan, Kisa, Kocak and Brigitte Jansen. With a contribution of Pilvi Takala. The tea house is in Turkish culture an important meeting place for men. The cafe’s are set up basic, look ‘not design’. My question is what young people think about the tea house culture. Is there a need for a tea house which not only men can visit? In Tea house Territoria the documentary ' Women in kahves ' of Pilvi Takala (1981 Helsinki) was shown. 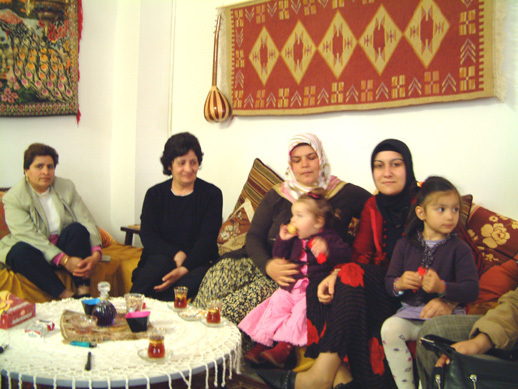 Takala is visiting with three Turkish women various tea houses in Istanbul. They drink tea and play RummyCub, just as the other visitors. With a secret camera the reactions of the regular visitors are recorded. 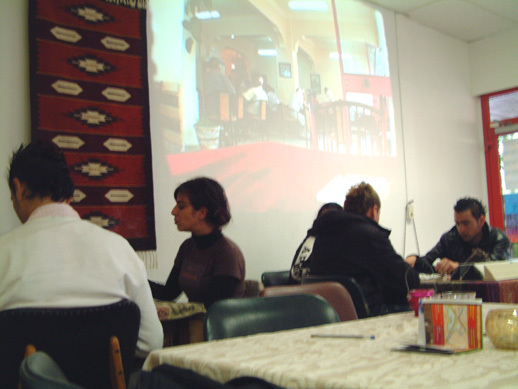 Takala made this video documentary on the occasion of the Istanbul Biennial in 2005. 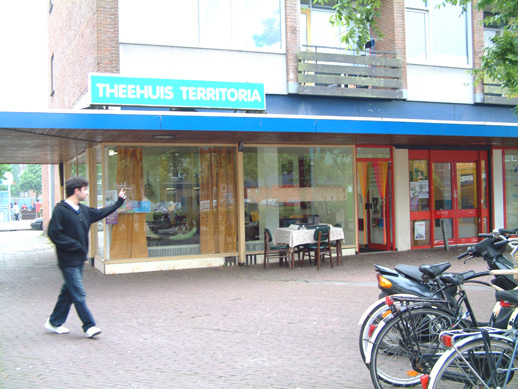 On the Delta square in Deventer Tea House Territoria was opened in an abandoned store. The tea house was visited by men and women. Another form for a meeting place became reality for three days.